Dating a stubborn, hard headed know it all can be one of the most frustrating experiences you will ever have. One of the reasons stubborn people are the way that they are is because they hate to be wrong. They think that they know the best way to do everything and therefore, may be a bit sensitive when they are told that there are other ways to do things. They may even view a difference of opinion as a personal attack, even if you mean no harm. Stubborn people are also stubborn because they are very invested in themselves and how their decisions can help them feel even better and do what they want to do. So, if you want to stroke their egos a bit and make them think a decision is valid, you have to show how it can end up benefiting them, even if it may initially seem counter-intuitive. One way you can deal with stubborn people is to acknowledge their positions and show them that they really have great ideas. This is a way you can convince a stubborn person to do what you want. Make the person think that, in the course of your conversation, he or she had actually come up with an idea, or had introduced an important aspect of why the idea is such a good one. This can be a little tricky to pull off, but if you can do it right, you’ll be amazed by how much better this will make the stubborn person feel. Ultimately, however, if you’ve tried all of this and nothing seems to work, or you simply can’t get through to them, you can take things to the next level, making sure they hear you, by using The Incognito Help Line. 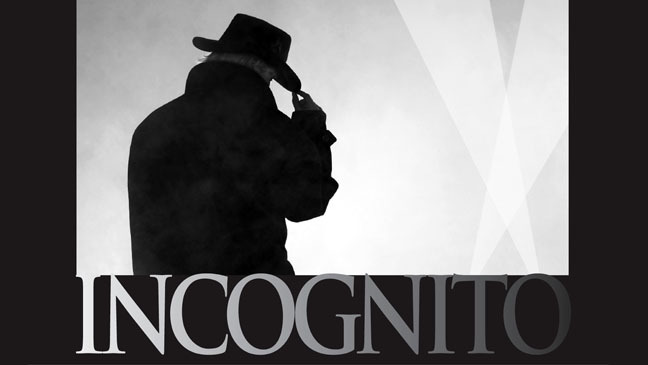 If you’re not familiar with the service, The Incognito Help Line is an anonymous message provider that will personally call and deliver any message to anyone with the promise that it will never be traced back to you. This truly is a wonderful way of dealing with a stubborn person- they’ll be forced to listen to the message, instead of focusing on you as the messenger! This can ultimately lead them to self-reflect and take note of what it is you are trying to get through to them. As the number one professional anonymous messaging service, The Incognito Help Line knows that sometimes it’s easier to let someone say things for you, (which is why The Incognito Help Line is great for people & situations like this). It’s one thing for a know-it-all to get a random phone call or text when they can’t validate where it’s coming from, or if it’s meant to be taken seriously or as a joke. But when someone gets a personal phone call or letter from The Incognito Help Line, they know the message is serious and isn’t a joke, and it’s that personal touch which makes all the difference. At the end of the day, sassy people too often love to shoot the messenger, instead of just listening to their message, making it easier to just stay silent. Unfortunately, things only get worse over time, and this could seriously take a toll on your relationship in the long run. So the sooner you are able to get through to the stubborn, know-it-all in your life, the better. They may not know where the message came from, but one day your relationship will thank you for getting through. If you’d like, you can Click Here To Place An Order Now or to find out more information visit www.The Incognito Help Line.com.